Ladyfingers Desserts is the sweets, desserts and treats division of Camela Lynn Weddings & Events! 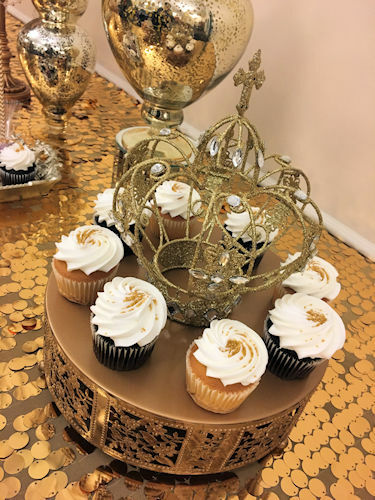 We can make your event sweet by adding a touch of class, creativity, and simple beauty to all of your confection selections. We promise to always spend special time planning your dessert table closely with you. Ladyfingers can design a dessert table of any size or kind; small office meetings/parties, dinner parties, classic children’s parties, corporate events, holiday gatherings, weddings, baby/bridal showers and any celebration or business event you can think of. All of our tables are custom designed to your specification and themes. Which includes linens, treat bags, custom signage, decor, canisters/containers, scoops, and napkins.